From Christina: I’ve taken to calling Devika Fernando my “younger twin” — much younger, in fact. We’re separated not only in age but by continents, too. She’s in Sri Lanka; I’m in the middle of the USA. Devika and I seem to think a lot alike, though. We’ve both taken many of the little internet “quizzes” that are passed around on Facebook, and time after time, we get the same results. We share many of the same hobbies and interests, and sometimes, it gets a little spooky. One thing we don’t share, is a name. From my midwestern-American perspective, her name is unusual. I’d never heard it before. But perhaps it’s more common than I’d guessed. Thanks to a fabulous online calendar a writer friend shared, I found out that the first Sunday in March is Namesake Day. This lesser known holiday is meant to make us explore the roots of our names. We could find out whether we were named after something or somebody in particular. That, in turn, might lead to us not only doing some research, but also connecting with others who do the same or share our name. This made me think. I’ve always been fascinated by names because we so readily take them to be somebody’s essence and identity. As for my name, Devika means “little goddess” and hails from Sri Lanka as well as India. To ‘celebrate’ Namesake Day, I checked whether I have any famous namesakes. Just this little bit of researching has made me get to know about interesting people, which is what Namesake Day really is about, I believe. Many of us are named after deities, heroes or famous people. Others are called like a relative, a friend of the family or a person that had great influence on their parents. Yet others had their name chosen because of its sound, its beautiful connotations or the way it fits into the family tree. Hardly any of us bear a name that was chosen by themselves – unless you take into account the phenomenon of adopting a pen name or pseudonym. Yet another aspect that underlines the importance of a name. – Is it easy to pronounce and will it stay in the reader’s mind, so that he/she will speak of the protagonist as of any friend or real person? – Do you prefer an exotic name because of the book’s genre or the character itself? This is especially useful if you write science fiction, paranormal romance or fantasy stories. Making up names that fit into the imagined language and life of the world you create can be endless fun and give the book some backbone. – What is the meaning of the name? It can be a fascinating detail if the power-hungry villain has a name that reflects exactly that trait, or if the gentle, shy heroine has a name that sounds like she acts or that stands for her values. – Something that I like to do and that I have seen others do successfully: Picking a name that starts with the same letter as another word of the title or the main theme of the story. Book titles like Love for Livy or The Lurid Lady Lockport have a special ring to them – but all this focus on alliteration can get out of hand and shouldn’t be forced. – Can you work with the name? By that I mean whether the name can for example be shortened for the hero’s / heroine’s friends to use, whether it can be transformed into a nick name and endearment that the lover comes up with, or whether maybe the protagonist can modify it to suit certain needs and change into somebody else. If you call the main character Elizabeth, will she be addressed as Liz or Lizzy or Betty or Eliza or Lizbeth? 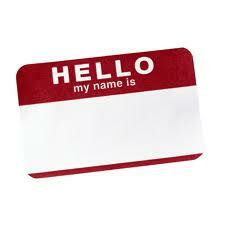 There are many more factors to take into consideration when choosing a name. Does it fit the time you’re writing about and is it age-appropriate? Is the name overused and too stereotypical? Do readers automatically associate it with famous personalities and their feats as well as qualities? I know that some writers rely on character naming resources like 20,000 Names from Around the World,or Behind the Name and that others just instinctively know how their protagonist should be called, without wracking their brain about possible meanings. I am found somewhere in the middle of both. Many authors choose their character names wisely and even use them as the sole book title (sometimes with an explaining subtitle or additional words). Just look at powerful examples like Jane Eyre, Robinson Crusoe, The Vampire Lestat, A Prayer for Owen Meany, The Diary of Anne Frank. Such titles make it perfectly clear that – rather than presenting us with multiple points of view, a whole complex world or a set of characters – we will get to know one particular person, see things from their view, and share their life. What does your name mean and where does it come from? Do share in the comments section! 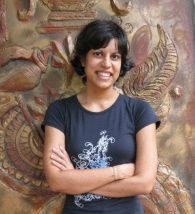 Writing has always been part of Devika’s life, be it stories or poems or articles. After finishing her education in Germany and returning to her roots in Sri Lanka, she finally got a chance to turn her passion into her profession. Having lived in Germany as well as in Sri Lanka with her husband has made her experience the best (and the worst) of two totally different worlds – something that influences her writing.